Matthew 28:18-20: Then Jesus came to them and said, "All authority in heaven and on earth has been given to me. Therefore go and make disciples of all nations, baptizing them in the name of the Father and of the Son and of the Holy Spirit, and teaching them to obey everything I have commanded you." In Biblical times, a rabbi would have students (talmidim) who would go wherever the rabbi went and learn not only from his teaching of the Word, but also from his example through the way he lived his life. Rabbis were commissioned to raise up disciples. Jesus was a Rabbi who would raise up disciples. Jesus poured Himself into twelve men teaching them about His Kingdom so they could carry on His work when He returned to His Heavenly Father. Discipling was not a new thing. Moses discipled Joshua. 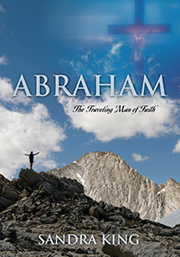 Joshua had been with Moses learning from him during the 40 years in the wilderness. Moses poured all that God had revealed to him into Joshua. Joshua learned not only from Moses' teaching, but also by his example in the way he lived his life. Though Moses led the millions of Israelites, God wanted him to pour himself and his Godly wisdom and knowledge into Joshua who would lead the next generation into victory and possession of God's promise. This one prepared, single life totally surrendered to God's will and instruction would bring God's people into God's Land of Promise. God commanded Moses in Deuteronomy 3:28 to commission Joshua, encourage and strengthen him "for he will lead this people across (Jordan) and will cause them to inherit the land you will see." Moses' job is over. He will see the land but the one Moses discipled -- Joshua-- would lead them into the Land and have victory over the inhabitants so God's people could possess it. Moses was not a warrior. Joshua was the one who fought the battle as Aaron and Hur held up Moses' arms in faith. Joshua means "Yahweh saves" in Hebrew and "Jesus" in Greek. It would take a warrior to lead God's people in victory so they could possess the Land. Joshua is a type and shadow of Jesus, God's Mighty Warrior, who gives us victory over the devil and helps us possess the land of earth for God. Elijah and Elisha in the Older Testament are an example of this also. When Elijah called Elisha at God's instruction, the younger Elisha gave up everything and accompanied Elijah everywhere he went in order to learn from him. His goal was to become like Elijah as our goal is to become like Jesus by following Him closely. Elisha would not only be trained in the scriptures but would also learn from Elijah's example in the way he lived his life. Elisha must experience personal transformation if he is to be a prophet of God. Prolonged intimacy with his teacher would transform him. Elisha would be a humble, caring companion to his teacher doing acts of service and assisting his teacher in all things. This is the same kind of relationship Jesus had with His disciples. His talmidim followed Him everywhere and their hearts were challenged and changed. They were learning a new way. They were eating with tax collectors and sinners. Sharing a meal was considered a sign of wholehearted friendship and peace. Jesus continually challenged His disciples with his words and actions. He challenged their way of looking at God and others. He welcomed sinners into His Kingdom and associated with sinners that Rabbis of that day would have shunned and scorned! David taught, trained and equipped the motley crew that God brought to him in the cave of Adullum. These "sinners" would become David's mighty men who would go into battle with him to conquer the Land of God. They would also rule and reign with David when he became king over all Israel. These mighty men David had trained were faithful to him to the end. This is a picture of King Jesus and sinners He teaches, trains and equips to fight spiritual warfare against the enemy of peoples' souls to set them free and possess the land of earth. Jesus did this to those the Father brought to him. He made them disciples who would in turn teach others. Jesus wants believers to not only bring others to His saving grace, but to also teach, train and equip others so they too will carry on the building of His Kingdom -- spiritual multiplication. Soul-winning is not disciple-making. Disciples must be taught and learn first and then spiritually reproduce themselves in the lives of others. Soul-winning is the first link of the chain. Programs don't make disciples! Teaching, training and equipping people in the wisdom and knowledge of God is the fastest and surest way to reproduce disciples and mobilize the body of Christ to do the work Christ has called us to do -- penetrate the lost world and defeat the enemy of peoples' souls. Jesus taught and corrected His disciples giving them time to grow. It was not an instant fix. The disciples' weaknesses drove them closer to Jesus. The transformation of a sinner is the greatest miracle of all. We have to keep a close connection to Jesus for this to happen. It requires total commitment as Elisha was totally committed to Elijah right to the end. When Elisha hesitated and wanted to kiss his parents good-bye, Elijah challenged him. Elisha sacrificed 12 pair of oxen, burned his plow and left everything to follow his teacher Elijah. He committed to Elijah and God. Elisha left wealth, home and family to do so. A potential disciple in the New Testament wanted to return home and say goodbye to his family in Luke 9:62. Jesus said to him, "No one who puts his hand to the plow and looks back is fit for service in the kingsdom of God." Serving Jesus will require sacrifice. Jesus left everything in His Heavenly Father's place to come to earth to save the world. He had no where to lay His head as a traveling Rabbi going from village to village to draw people to Himself and His Father's Kingdom. He had to depend on others for His basic needs. The disciples of a Jewish rabbi in biblical times would share in his difficult life but their life would also be full of joy and blessing in serving God and others. The disciples of Jesus were learning from the greatest Rabbi of all about the deep things of God. His goal was to transform them into His image and likeness. Becoming like Christ helps us love and serve others more authentically and live more authentically experiencing a life of more fulfillment. The relationship between Elijah and Elisha grew deep and intimate as they traveled together. They were like a father and son. On the day God took Elijah to Himself, Elisha cried out “My father, my father.” (2 Kings 2:12) Elijah was a spiritual father to Elisha, and Elisha grieved the loss of his spiritual mentor greatly. But Elijah didn't leave Elisha empty-handed. Elijah poured his love, wisdom and knowledge into Elisha so the Kingdom of God could carry on. Elisha was well-prepared to take over where Elijah left off. 1. Must be in His Word -- Then Jesus said to those Jews who believed in Him, "If you continue in My Word, then you are My disciples indeed." John 8:31 A disciple is a Christian who is involved in the Word of God continually. It is continually applying scripture to one's life that establishes Jesus and His ways in us and sets us free from sin and its ultimate spiritual death. 3. Must walk in love -- "A new command I give you: Love one another. As I have loved you, so you must love one another. By this all men will know that you are My disciples, if you love one another." John 13:34-35 Godly love is far deeper and more sacrificial than our human love. In order for us to have this kind of love, we have to die to something--self. Jesus showed us this at the cross when He died for the sin of our flesh. 4. Must bear fruit -- "Remain in Me, and I will remain in you. No branch can bear fruit by itself; it must remain in the vine. Neither can you bear fruit unless you remain in Me. I am the Vine; you are the branches. If a man remains in me and I in Him, he will bear much fruit." John 15:4-5 When we operate in the fruit of the Holy Spirit, Christ abides in us richly and fruit will be the result. Jesus chose us and appointed us to "go and bear fruit--fruit that will last." John 15:16 We are to bear lasting fruit--spiritual fruit. The Seed/Word Jesus in us will multiply and bear everlasting fruit. The Lord Jesus wants His disciples to be rooted and built up in Him and established in faith and the Word. (see Col. 2:7) This takes dedication, commitment, time, sacrifice and love. Discipling will make mature lay leaders who are Christ-centered, Word-oriented and Spirit-guided. It is these who will be multiplying. If a church focuses on making true disciples it will be a church that will grow and multiply. New converts who are loved, trained, fed and protected will also become disciples who will multiply. Multipliers train other multipliers. Jesus is the Great Multiplier and Builder of His Temple. He wants to make us disciples who are also multipliers and builders. Peter and Paul who were taught by Jesus were great builders and multipliers. The discipling process is about "going up" -- drawing closer to Jesus through love, commitment, faith and the study of the Word anointed by the Holy Spirit. He gave His all for us. He wants us to give our all for Him and others.